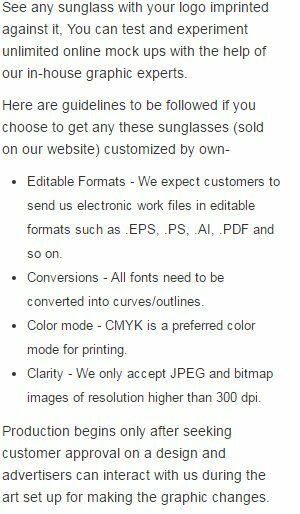 Custom printed Oahu sunglasses – metallic blue are cool, stylish and no doubt very much in demand. With the summers in offing, people are crazily buying it for their summer stocking. If you wish to make a real attempt of brand building this summer, then these classic sunglasses may help you. Get your brand information imprinted over its arms for better visibility. Gift it during the next opportunity and stay cool that summers are going to be good for your business. Request a quote to know wholesale savings for these promotional Oahu sunglasses – metallic blue. Features – Offers UV 400 protection. Metallic blue frames and arms.